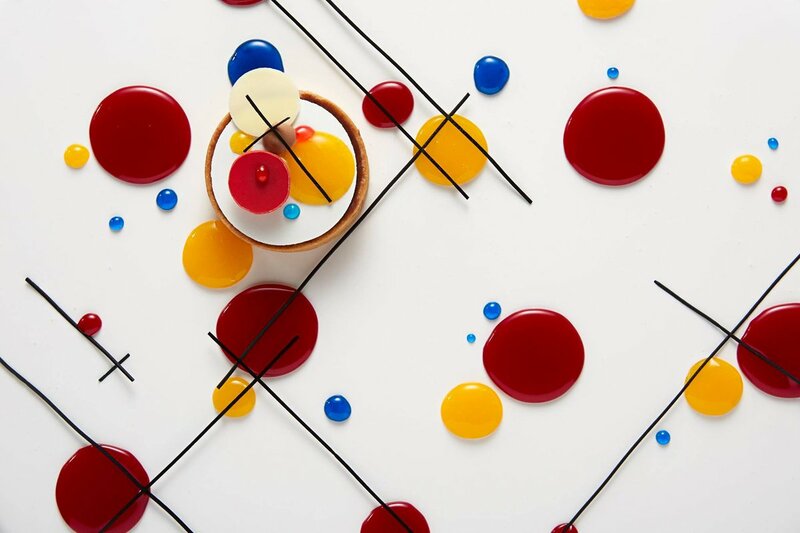 Kandinsky pastry at high tea in Rosewood London. 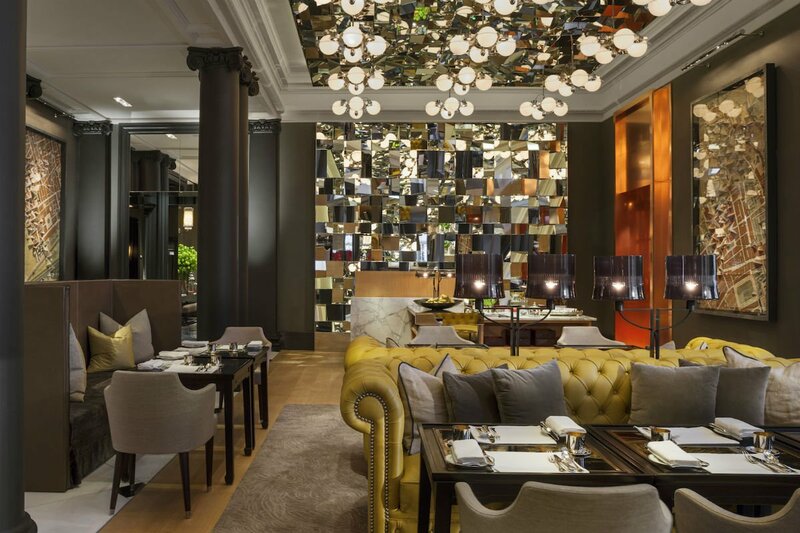 All photos courtesy of Rosewood London. 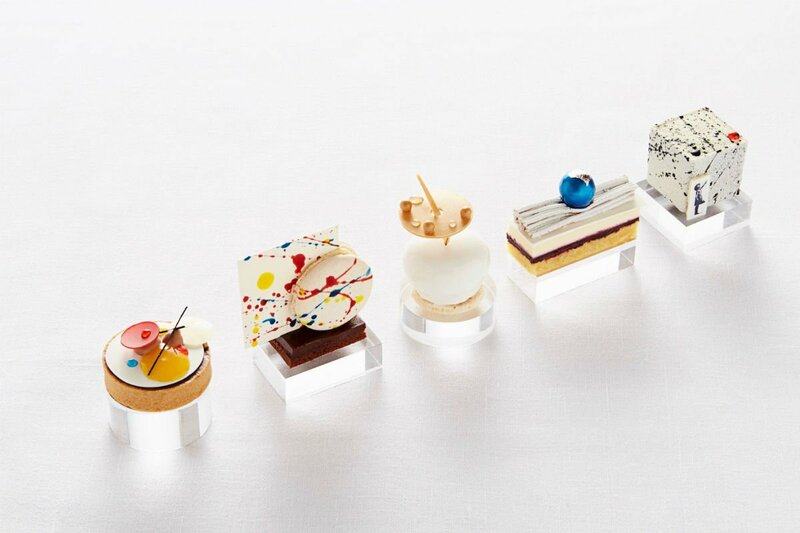 In an elegant setting at the Rosewood London hotel, high tea is taken to new heights by chef Mark Perkins, who creates confections inspired by famous artwork. LONDON – Most of my artful afternoons alternate between Tate Modern (for Rothko and Picasso) and Tate Britain (with my all-time favorite, Paul Klee). But the last time I found myself in London, I went to the hotel Rosewood London to indulge in another form of art, the edible kind. Was I entering the home of a nobleman, I wondered, as I strode through the regal wrought-iron gates into the lobby. This was a sumptuous hotel, where behind every detail was a story waiting to be told. 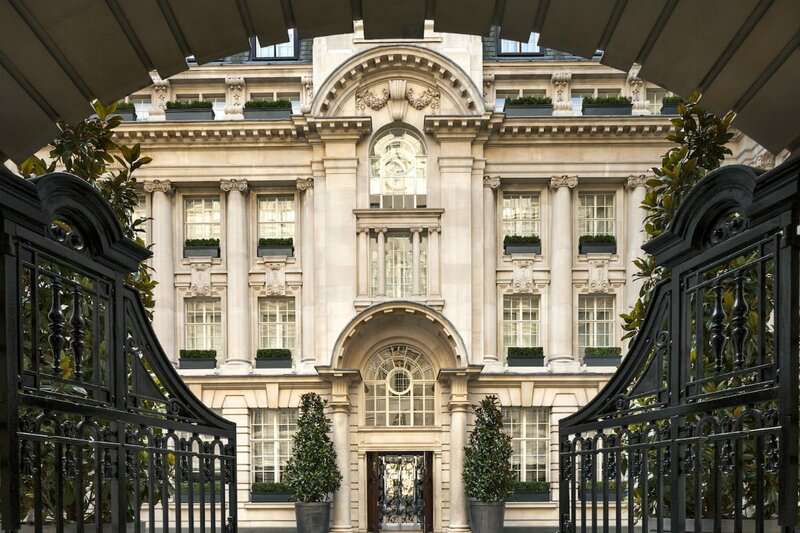 The regal gates at Rosewood London. My tea date and I were led to the Mirror Room, elegantly clad in neutral tones with welcoming pops of orange and yellow. The ceiling and several walls were decorated in a patchwork of mirrors. The room itself, much like the rest of the hotel, exuded art. The hotel’s Art Afternoon Tea launched just over a year ago, and we were here to sample the second batch of creations by executive chef Mark Perkins, who has said about this program that he is “always curious, trying to find inspiration in things that surround me.” Which include his city. “London is one of the leading lights in the arts world, and I am continuously excited and surprised by it.” I scanned the menu for a look at the latest inspirations and was pleased to recognize the artists — Banksy, Jeff Koons, Jackson Pollock, Wassily Kandinsky, and Hubert Le Gall. Following a glass of fine French Champagne, I was glad that Mariage Frères (also French) was their tea of choice. I selected a chai with hints of vanilla and began the feast, finger sandwiches first. In addition to the edibile art work, our British high tea of course included freshly baked scones paired with clotted cream and lemon curd. Heavenly. The artful confections in all their splendor. And now for the main event, the artful cakes. Each delicate creation was a masterpiece, decorated in the manner of the painter. Splatters for Pollack, a mini graffiti photo wall for Banksy. The petit fours revealed a depth of flavors almost as intricate as the art that had inspired the chef. I’m already looking forward to coming back in April for the next curation, a Rodin-inspired set of pastries, created in collaboration with the Rodin and the Art of Ancient Greece exhibition at the British Museum that will open on the same day. As we cut into the hand-crafted confections, I felt a little guilty to be responsible for their destruction, but that passed quickly, with each sweet bite. Anyway, isn’t art meant to be devoured? Subscribe to the Fathom Newsletter. Kasia is a Paris-based handbag designer, writer, and seeker of beauty. You can follow her on Twitter and Instagram. She travels for the thrill of discovering new cultures.